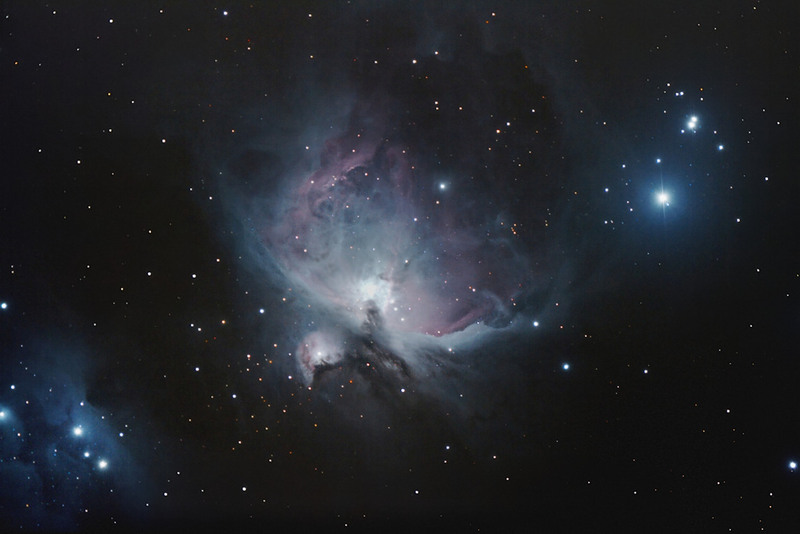 M42 image taken to test the tracking and guiding capability of a new Celestron CGE Pro mount. This image is a stack of three, four minute sub exposures calibrated with flats, flat darks and darks. The SNR is rather poor as the image was taken under rather light polluted skies. There was a 20 KPH breeze during the session and the mount handled it well. Calibration, stacking, background noise reduction and initial star size reduction done with Images Plus . Background correction and further noise reduction applied in Paint Shop Pro . The star colour was enhanced.